This delicious chicken is good enough to cause world peace. I promise you! We first tried this chicken at a gathering that we attended and my ajebutters told me “mommy you have to create this chicken.” And I immediately began to brainstorm and from the taste, I could guess what some of the ingredients were. The thing I love about this recipe is the ease. No matter how complicated your matter is in the kitchen, you could never mess this recipe up. I know this recipe is not all the way Nigerian, but you could make it Nigerian if you substituted the black pepper with Uziza…You’ll love it. Trust me. Recently, I have had trouble sleeping. Usually I suffer insomnia on a nightly basis and sometimes, I find it hard even to take a nap. So in my search to find sleep, I found some Chamomile tea. I like the way it calms me and helps me slowly drift to sleep. I don’t sleep for too long, but I always get a few hours in. Using Chamomile tea to me is a non addictive method to get some sleep. A good night’s rest for me is always a huge plus for my writing. It helps me think better and gives me a clear head to take some half way decent photos. Now, imagine a good night’s rest and starting your day with this chicken…Yes you may have it for break fast or brunch or dinner. Errm, you really don’t need a reason to make some chicken. We are Nigerians. Food na food lol! For those with children old enough to have honey, this is an amazing recipe. Recently, on the food group ‘so you think you can cook’ on Facebook, a lady wanted to know if it was okay to give her toddler honey. My jaw almost dropped at some of the responses. I decided to make a post about food allergies and honey on my Facebook wall, and I was surprised to read that some of my friends believed that Nigerians do not suffer food allergies. In fact as I write this, I don’t know where to start from. It’s like the case of the elder who died from a Kola nut allergy(nut allergy) and the entire village thought the orji(kola nut) was poisoned. Some Nigerians suffer from food allergies and it is very unsafe to give babies honey. It could cause botulism and kill the child. Then you would start blaming the witches in your villages…because supposedly “Nigerians have no allergic reaction to any thing.” Knowledge is definitely power. wash and pat chicken dry(it has to be very dry). Season with salt, let it sit for about 10minutes; then season with the other ingredients except the honey, chili powder and the oil. heat up a nonstick pan, brush the oil into the pan. Bring over medium heat. Once the pan and oil are hot, add the chicken wings into the pan and in a single layer without over crowding. Let the chicken fry beautifully while you flip them from time to time to prevent burning(keep an eye on the heat). Once the chicken has cooked and browned beautifully, remove them from the heat and set to drain in a paper towel(alternatively, you can use an oven or a grill). Wipe the grease off the pan if you desire. 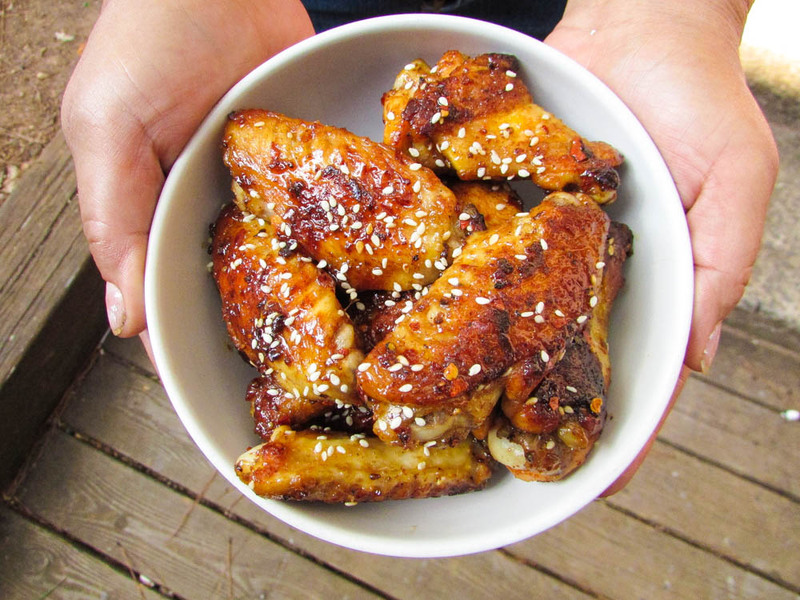 In a bowl, toss the chicken, the honey, sesame seeds, and pepper flakes then re introduce it into the pan and heat. Keep tossing over the heat until chicken looks/feels sticky; then serve with any side. 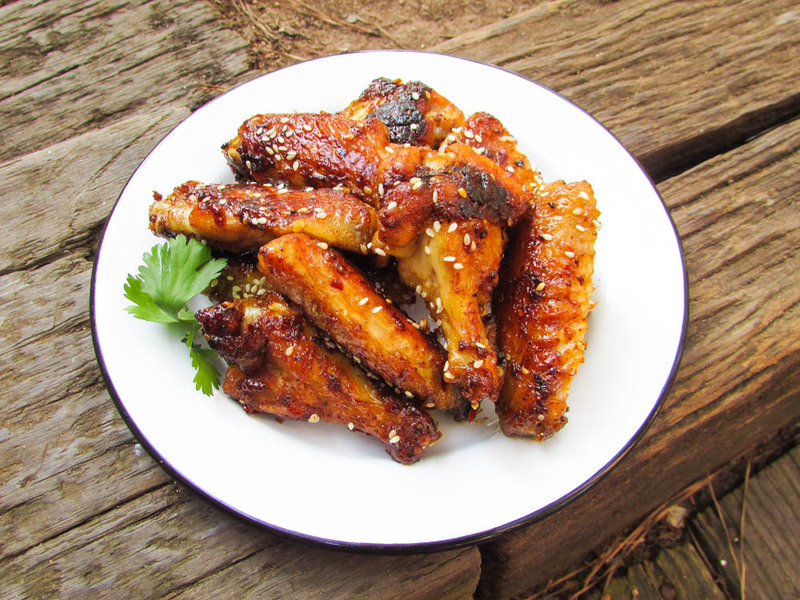 This entry was posted in Appetizers, Barbecue Chicken Recipes, chicken, chicken dishes, Chicken Recipes, fried chicken, Uncategorized and tagged chicken wings recipe, chinese chicken recipe, pan fried chicken wings recipe, pan fried sesame chickin recipe.